The accredited housing program focuses on housing women and men who are experiencing addiction, chronic homelessness, and frequent interactions with emergency services like police, EMS, and/or hospitalizations. 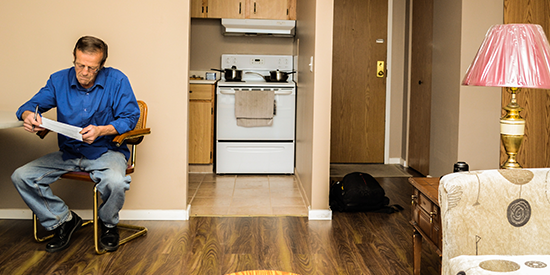 To be referred into any of our housing programs you must have a housing assessment (VI-SPDAT) completed by our Encampment Team (403-805-7388) or at the SCORCe. This will put you on the Coordinated Access and Assessment system list. 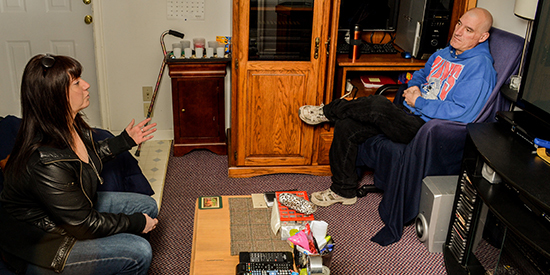 Our housing program includes Scattered-Site-Community, Permanent Supportive Housing (PSH) and Place-Based models. We operate five place-based buildings: Madison Place (veterans), Francis Manor, Aurora on the Park, Women’s Project and Lodging House. The case management style we provide is consistent throughout all of our housing programs and involves working with our clients to obtain their basic needs; develop budgeting skills and methods; arrange and attend medical appointments; define goals to achieve through housing; develop life skills like cleaning and cooking; and guest management. The goal of this program is to stabilize an individual in their housing and then move them to graduation which allows for new clients to enter program. Similar to the Scattered Site model, individuals are housed throughout the community in their own units and sign their own leases. The amount of time we anticipate clients to be in this program is two or more years and case management is more intensive with frequent case manager visits. 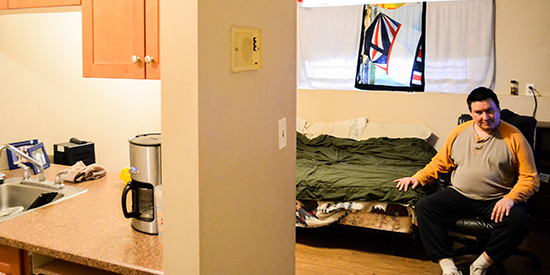 Our accredited housing program abides by the philosophies of Harm Reduction and Housing First with the capacity to provide housing for 234 individuals. Veterans Housing is dedicated to serving individuals who served in the Canadian Armed Forces and are experiencing homelessness and addiction. On-site staff allows for intensive case management services to be available to clients 24/7. Staff help in areas like budgeting, unit cleanliness, personal hygiene, follow-up and follow-through on medical/legal appointments, and transportation to appointments. These five buildings provide shared accommodation, bachelor suites and one-bedroom units. Each building serves one meal per day, which is graciously provided by Meals on Wheels. Staff provide intensive case management by being available 24 hours per day, seven days a week. These buildings have been successful because our teams are able to provide unique case management to each individual resident and close proximity to our residents allows for us to complete tasks quickly for multiple residents. 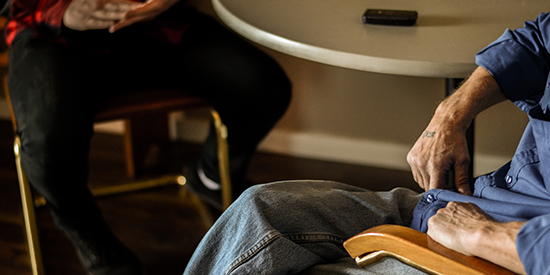 We have found great success in developing and implementing a consistent approach which helps us assist our resident’s individual housing needs.